Learn More & Take Action! Thank you for your dedication to support those in need of addiction and mental health prevention, intervention, treatment, and recovery support! Here is a list of current legislation you can take action on today. H.R. 6, the Substance Use-Disorder Prevention that Promotes Opioid Recovery and Treatment (SUPPORT) for Patients and Communities Act seeks to expand treatment and recovery services, improve prevention, and bolster efforts to fight deadly synthetic drugs like fentanyl. Remove the IMD exclusion for all substance use disorder treatment and allow Medicaid payment for eligible individuals for up to 30 days annually. For additional details, please see the section-by-section summary as well as the full text of the bill. Please contact your Senators and urge a YES vote on the SUPPORT for Patients and Communities Act. The Strengthening the Addiction Treatment Workforce Act (S. 1453) would bolster the addiction workforce by extending student loan repayment opportunities to currently-eligible professionals working in addiction settings. Specifically, the bill adds addiction treatment facilities as eligible participating sites in the existing National Health Service Corps (NHSC) loan forgiveness program. NHSC provides loan forgiveness to more than 10,000 eligible health care professionals across the country in exchange for their service in un- derserved rural, urban and frontier communities, touching over 11 million American lives. Under current law, NHSC participants may serve in qualified primary care, dental or mental health clinics experiencing workforce shortages, but are ineligible for loan forgiveness if they work in addiction treatment settings. By expanding NHSC sites to include qualified addiction facilities, this legislation will improve access to desperately needed addiction services for millions of Americans. Support the Bipartisan Health Care Stabilization Act. The maintenance of needed health and mental health care has little meaning without affordable and ready access to the plans providing such coverage, at parity with medical/surgical benefits. Ensuring affordable and ready access requires retention of the ACA’s prohibition against denying coverage based on a pre-existing condition, as well as the ACA’s prohibition against annual and life-time limits on coverage. This is particularly vital given the opioid addiction epidemic our nation is facing, and the millions of Americans with multiple chronic co-occurring mental health and physical health conditions. The Bipartisan Health Care Stabilization Act is a step in the right direction. It is critical that Cost-Sharing Reductions (CSR) funding be maintained to lower individual market premiums and to provide security for insurers to remain in the marketplace. Furthermore, funding for outreach efforts is paramount to help consumers choose the right plan for themselves and their families, and to ensure more people obtain coverage. Any final bill that may be brought to a vote must maintain current law requirements that all plans offered in the individual insurance market: (1) must cover the 10 categories of essential health benefits, including mental health and substance use disorder treatment; (2) require guaranteed issue and renewability; (3) cannot deny coverage or impose higher premiums on people with preexisting conditions, and (4) cannot impose annual or lifetime limits on coverage. Allow states to set standards for criteria and have the flexibility to implement care based on the specific needs of each state. Increase better access for pregnant and postpartum women to ensure treatment services are available for healthy birth outcomes. In July 2017, the bipartisan Improving Access to Behavioral Health Information Technology Act (S. 1732/H.R. 3331) was introduced in both the House of Representatives and the Senate to support behavioral health providers in adopting electronic health records (EHR). 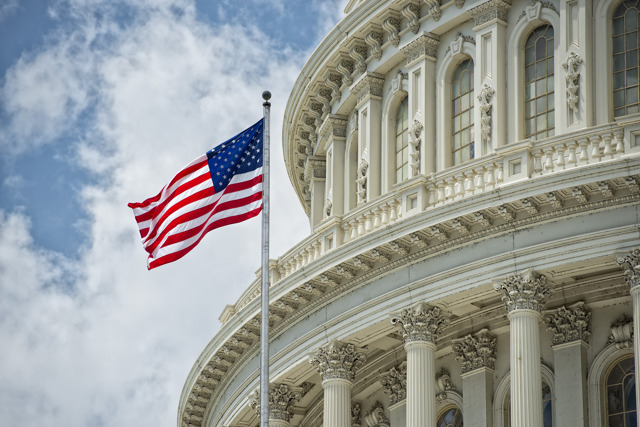 This bill tasks the Center for Medicare and Medicaid Innovation (CMMI) with creating a demonstration project to incentivize the use of EHR systems in various settings, including mental health and addiction treatment organizations. Why do we need the Improving Access to Behavioral Health Information Technology Act? Comprehensive care coordination is needed to combat the nation’s opioid epidemic. Most behavioral health treatment providers lack the resources needed to implement EHRs. Helping law enforcement divert individuals who are struggling with a substance use disorder so that they can be treated in their communities. In June 2017, Representatives John Katko (R-NY) and Mike Thompson (D-CA), introduced the Mental Health Access Improvement Act of 2017 (H.R. 3032). This legislation would allow marriage and family therapists (MFTs) and licensed mental health counselors to directly bill Medicare for their services. Currently, these professionals are not eligible Medicare providers, despite the important role they play in delivering treatment, recovery and prevention services to seniors and people with disabilities, particularly in underserved, rural areas with a mental health workforce shortage. This simple change would immediately increase patients’ access to needed care in their communities. Additionally, we support adding language that would ensure patients’ access to counselors who are trained, credentialed and licensed to provide addiction treatment. Why do we need the Mental Health Access Improvement Act? Older Americans have high rates of mental illness and suicide, yet have lower rates of treatment than others. MFTs and counselors practice in areas without access to other Medicare-covered professionals. Expanding the workforce pool would expand patients’ access to treatment. Counselors and MFTs have equivalent training and licensure standards to providers already included within Medicare. Congress has long supported this change. The Veteran Wellness Act [H.R. 2506], introduced by Representatives Tim Ryan (D-OH-13) in May, will require the Department of Veterans Affairs (VA) to carry out a two-year pilot program under which the VA makes grants to nonprofit veterans services organizations (VSOs) to: (1) upgrade their community facilities into health and wellness centers in at least 10 different geographic locations, and (2) promote and expand complementary and integrative wellness programs. The VA shall give priority to locations in economically depressed areas that are not in close proximity to VA medical centers. A VSO, as a condition of receiving a grant, must agree to carry out the operation and maintenance of a facility that is repaired or constructed using grant funds for three years after completion of the repair or construction. The combination of your active grassroots advocacy and NAADAC efforts in Washington can create a powerful and influential voice in the legislative process. Download NAADAC's How to Advocate Booklet today!